A detailed look at USAF Fighter deployments to Europe since 1970. Includes many unpublished photographs. Continuing our series on Guard units is a look at one of two Viper units based in Iowa, the 124th FS/132 FW at Des Moines, Iowa. 'Coronet Apache' was a 9 TFS, 49 TFW deployment to Soesterberg AB, The Netherlands in May/June 1986. 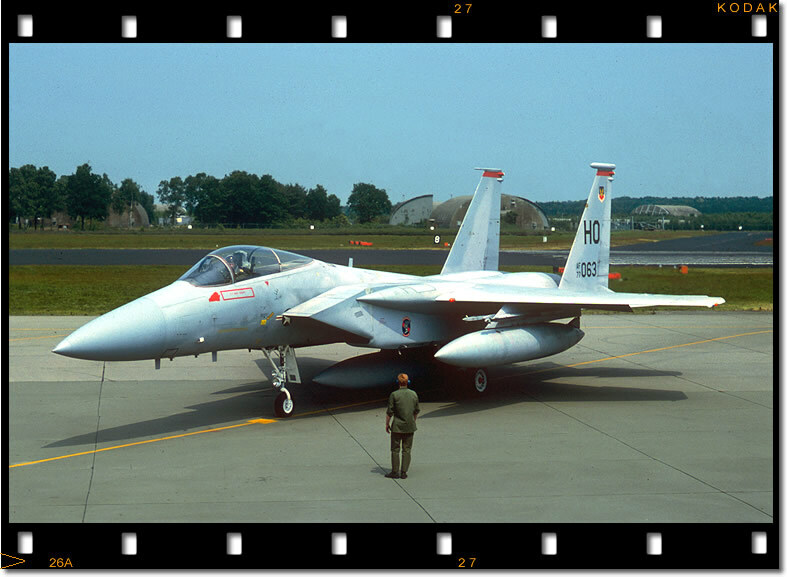 Seen here ready to re-deploy back to Holloman AFB on 20 June 1986 is F-15A 77-0063. This deployment will be featured in the next update to our 'Coronets, Crested Caps & Salty Bees' report. Kosovo Conflict Feb - June 1999 Past & Present operators. Gunsmoke '89 Double Ugly @ War! © ALL PHOTOS ARE COPYRIGHT OF THE PHOTOGRAPHER AND/OR SHARPSHOOTER - Military Aviation Journal. NO PHOTOS MAYBE USED/PUBLISHED WITHOUT THE PERMISSION OF THE INDIVIDUAL PHOTOGRAPHER AND/OR SHARPSHOOTER - Military Aviation Journal.